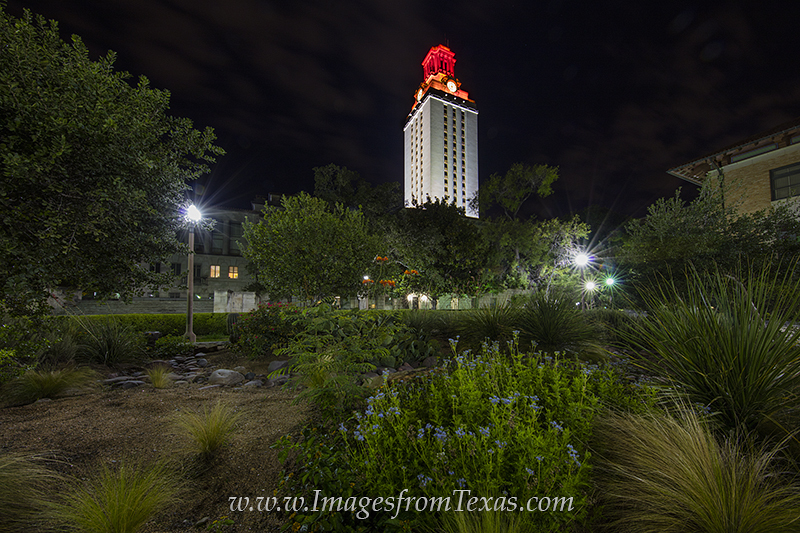 Early in the morning, the UT Tower glows orange after a Longhorn victory. Near downtown Austin, Texas, this building in the middle of the UT campus is an Austin icon. Photo © copyright by Rob Greebon.